Concluding Considering Filing for Bankruptcy? Ask Yourself these 6 Questions, here are some additional factors that people should think about when they are dealing with significant financials issues and are deciding whether filing for bankruptcy may be their best option. While these questions can help you consider important issues associated with filing for bankruptcy, contact Arthur Lindquist-Kleisser for specific info about your options. Question 5: Do I qualify for bankruptcy in Colorado? 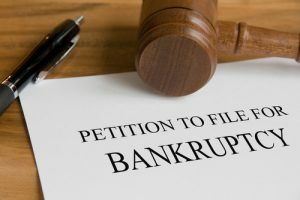 While you may decide that bankruptcy is a good way to get past a financial crisis, there are specific qualifications that people have to meet in order for their petition for bankruptcy to be accepted by the courts. For example, there is a residency requirement that mandates that people have to have lived in Colorado for at least 180 days or the greater portion of this (i.e., 91 days). The specific type of bankruptcy a person (or business) is pursuing will generally dictate the other eligibility requirements, especially if that person (or business) has filed for bankruptcy in the past. If you want to find out if you qualify for a particular type of bankruptcy, consult with an experienced bankruptcy attorney like Arthur Lindquist-Kleissler. Question 6: What are the impacts of filing for bankruptcy that I should be aware of? This is a crucial consideration for anyone thinking about filing for bankruptcy. The fact is that bankruptcy is an extremely effective way for people and businesses to resolve serious debt. There are, however, some impacts to petitioners’ credit that will persist for years to come. In some cases, people may need think about the potential emotional impacts that filing for bankruptcy may have. Despite these impacts however, the bottom line is that pursuing a bankruptcy case can be the best way to get past serious financial struggles, achieve a financial fresh start and look towards the future. At Lindquist-Kleissler & Company, LLC, our Denver bankruptcy attorney tailors his services the individual client’s needs and the specific circumstances of a case. This means that our clients can always count on us to bring a fresh perspective to their bankruptcy matters and to examine non-traditional options for their cases. You can set up a free 30-minute consult by calling (303) 691-9774 or by emailing us using the form on this page. You will pay nothing up front to obtain trusted, professional advice regarding your case and your options.